Made of soft plush. 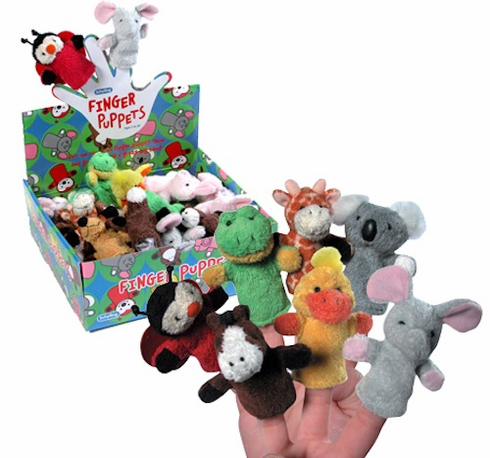 Price per puppet. Each one measures 3" tall. Ages 3 and up.